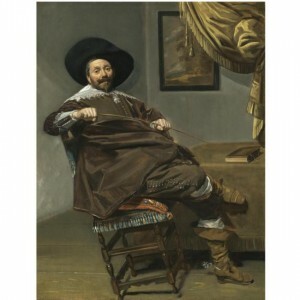 Sotheby’s Evening Sale of Old Master Paintings in London on Wednesday attracted an international client base and managed to raise $101.5 million in overall sales, which is the second highest amount in the company’s history for an auction of this genre. The sale included not only pieces of exceptional quality, but also a number of works which had previously been held in private collections and therefore had not been on the market for some time. A re-discovered painting by Frans Hals (Pictured above), which was heretofore believed to be a copy, sold for $13,995,067 which not only exceeded its pre-sale estimate of $6.0-$10.0 million, but which also was the second highest price ever paid for a work by the artist at auction. 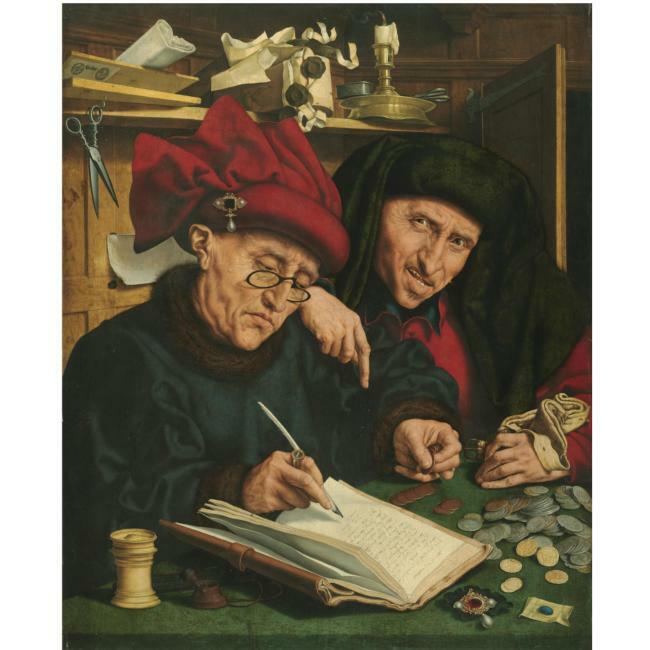 There were numerous other auction records set that evening, including record sales by artists including Guido Reni, Jacobo Tintoretto, Taddeo di Bartolo, Frans van Mieris the Elder and Jan Brueghel the Elder. An impressive 58% of lots sold at the auction garnered bids in excess of their estimates, contributing to the sale’s success as a whole. 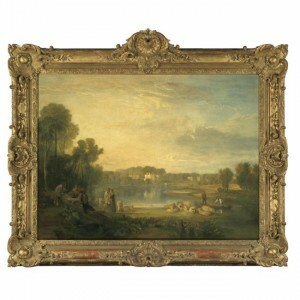 This painting, by British artist Joseph Mallord William Turner, came to the Old Master Paintings Evening Auction after remaining in a private collection for approximately 180 years. Estimated at $10.0 – $14.0 million, it was sold for $10,725,071 which, although at the low end of the estimate, is the fourth highest price ever achieved by this artist at auction. Part of the outstanding 20th century collection of the late Dr. Gustav Rau, which as a whole raised $6,225,200 (est. 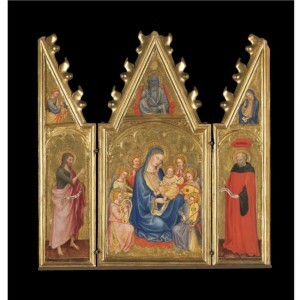 $4.0-$6.0 million) at the evening auction, the Triptych far exceeded its estimate of $600,000-$1,000,000 with its sale price of $3,725,412. 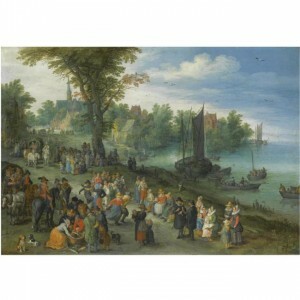 Attaining a record sale price at auction for Jan Brueghel the Elder by selling for $6,927,778 (est. $5.0-$7.0 million), The Edge of a Village with Figures Dancing is also notable for the fact that it is one of only two works completed by the artist to include a self-portrait. Bid on by approximately eight interested parties, The Misers, which is believed to be a variant of the Reymerswaele original composition, sold for an impressive figure of $4,056,691 which was over 13 times its pre-sale high estimate of $300,000. 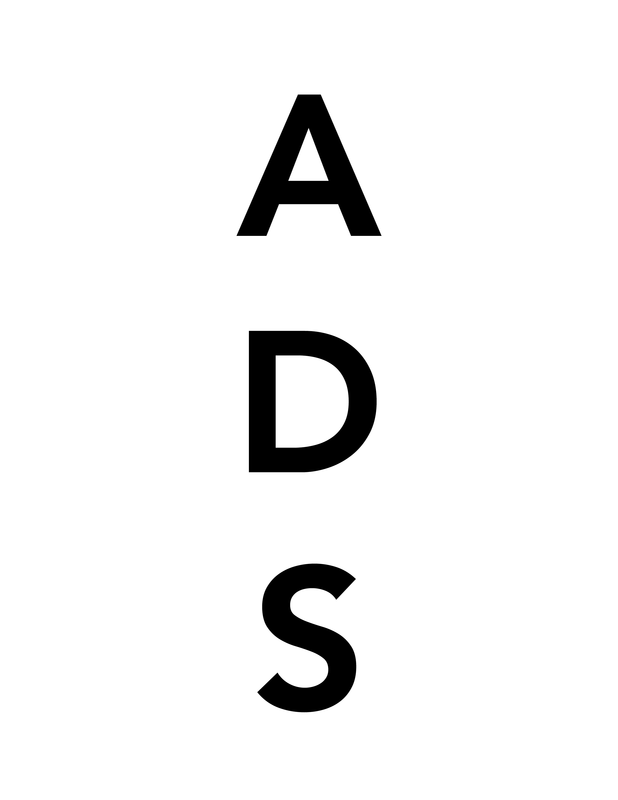 This entry was posted on Friday, July 11th, 2008 at 11:13 am	and is filed under Art News. You can follow any responses to this entry through the RSS 2.0 feed. You can leave a response, or trackback from your own site. I have an oil painting from artist Cobos, Spain 1928. Can you give me any information, and possible value.